Apparently, the local trend is catching on! 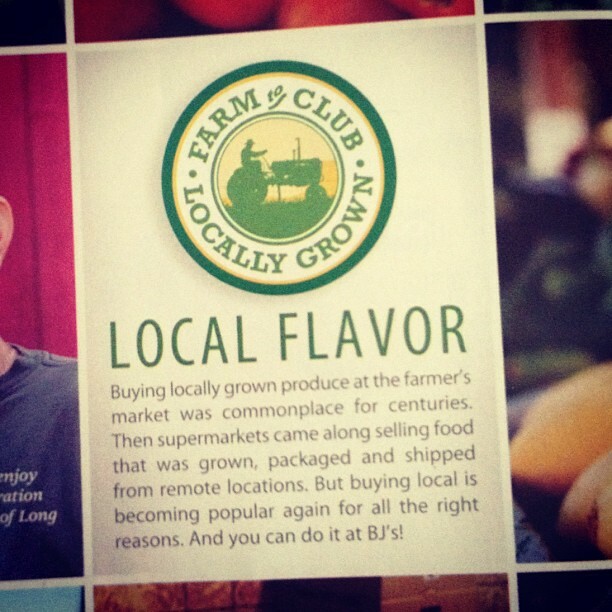 BJ’s defines local as “grown within the state.” So that means in June, bins and crates marked with the Farm to Club logo will offer shoppers Delaware produce such as zucchini, tomatoes, corn, green peppers, yellow squash, and cucumbers. I know my mom will never give up her BJ’s membership and the ability to buy ginormous vats of butter and spaghetti sauce tri-packs. But now I can rest easy because come June, she can add local produce to her over-sized shopping cart. Thanks, BJ’s! Impressive! And you’ve got to love a gian tub of butter *sigh*! Awesome – signing up for a CSA this weekend! Ok, Ra, you can go with me to BJs come June…. I shall and I will buy copious amounts of triple packed cleaning supplies.